TURKEYEN, Greater Georgetown, Guyana – Crafting a strategy to reposition itself to respond to the “new normal” was one of the key tasks of the Caribbean Community (CARICOM), Prime Minister of Grenada Dr. the Hon Keith Mitchell said Wednesday. Placing the community at the “centre of global changes,” the prime minister pointed to economic, social and political inequality, climate change and vulnerability that were having deleterious impacts on member states. 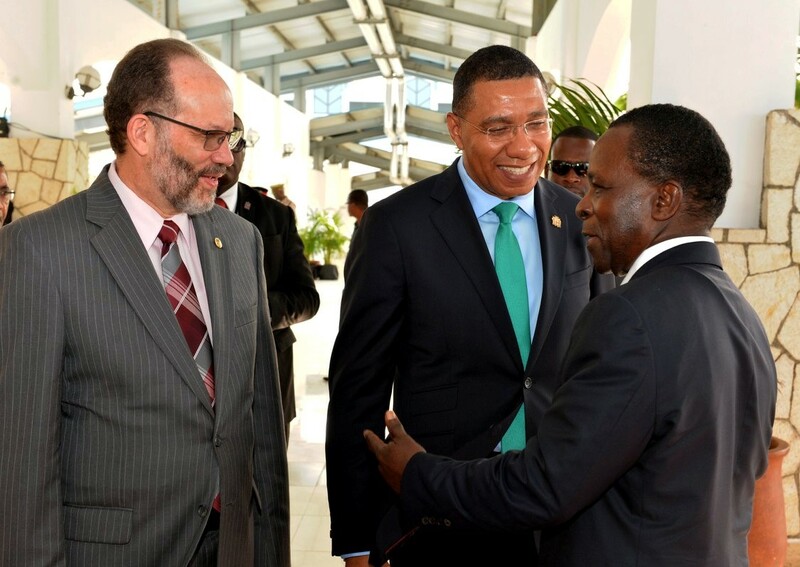 Prime Minister Mitchell was one of six speakers at the opening ceremony of the 39th meeting of the Conference of Heads of Government of CARICOM at the Montego Bay Convention Centre in Jamaica. The three-day meeting tackles the CARICOM single market and economy (CSME) – to which Thursday has been devoted – disaster resilience and climate change, security, and marijuana, among other key matters. He told the well-attended opening ceremony that the greatest dividend that the Community, as a grouping of small states possessed, was its ability to “determine for ourselves on issues that that are important to us, where our best interest is served”. He said this would be based on several factors including the principles of fairness, justice, democracy and the rule of law. He added that the time was nigh for the community to consolidate its positions on key hemispheric and international matters that had profound implications for the region. Navigating the new normal also meant that the community had to take into account the challenges in responding to climate change and natural disasters. He commended the community for the steps it had taken since the devastating 2017 hurricanes and queried the state of readiness for the current 2018 season. Prime Minister Mitchell was chair of CARICOM when hurricanes Irma and Maria barreled through the region and he had a first-hand view of the damage when he toured affected territories. He pointed to the steps his country had taken to mitigate the effects of climate change and natural disasters, including the creation of a ministry for climate resilience and introducing legislation to ban the use of plastics and Styrofoam material that were harmful to the environment.